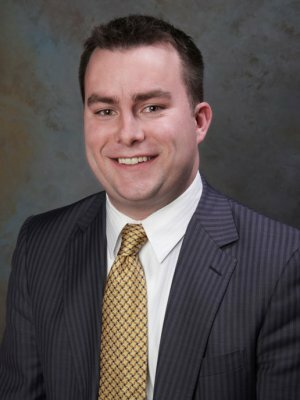 Tyler joined the Renaissance Financial team in 2010 with a passion and drive to excel in his career as a financial advisor. This enthusiasm for what he does is evident and he finds that it often attracts like individuals as clients. Tyler works with a variety of clients and enjoys the unique experience involved with each one. From young successful professionals, to growing families, to individuals or businesses looking at retirement or succession strategies, it is important to make sure your financial world is running efficiently and Tyler can help provide the right tools to make this happen. At Renaissance, the team is known for drawing on one another's expertise; for Tyler he is able to pull from this and provide the group with his knowledge on wealth accumulation, preservation, protection and distribution. Through his dedication and hard work, Tyler has proven that he is a leader in the firm. He has achieved great accolades both at a national level as well as a firm level. Within Securian Financial Services, Inc. Tyler achieved Focus Club*, Excellence in Performance*, MDRT in 2012 and 2013, and Pinnacle Club* in 2013. This recognition is given to new advisors within Securian, who have made significant achievements that have also achieved MDRT membership. In 2012, Renaissance Financial awarded him the Silver New and Developing Advisor Award*. Outside of the firm, Tyler's dedication to others is shown through his community involvement. He is proud to volunteer his time at places such as Children's Mercy Hospital and the Joshua Center. He is an alumnus of the University of Kansas where he earned a degree in finance, and he continues to show his support for the university by cheering on their many sports teams. Growing up in the Kansas City area, Tyler is proud to still call the area home, residing in Overland Park, KS with his wife, Michelle, their dog, Sanca, and cat, Bailey.